A web-based interface allowing real time updating for session schedules, session info, presenter bio, floor plans, urgent notification notices or any other content that needs to be communicated to participants. Through authorised access, the Programme Manager enables organisers to collaborate on programme building and updating across departments and locations. Real-time updating provides up-to-date information for delegates about cancellations, delays, deadlines etc. SLE Conference Programme Manager is a cross device solution enabling event managers to deliver the event programme through various platforms including onsite auto running screens (digital signage), conference website and mobile devices. Centralised management provides streamlined management allowing event managers to update and manage the programme from a single point of access for cross device programme publication. Create unlimited session rooms, sessions and presentations. Apply session rooms to any date in the future. Organise sessions and presentations with drag and drop functionality. Streams and abstracts are easily applied to sessions and presentations. Define presentations as oral or poster presentations. 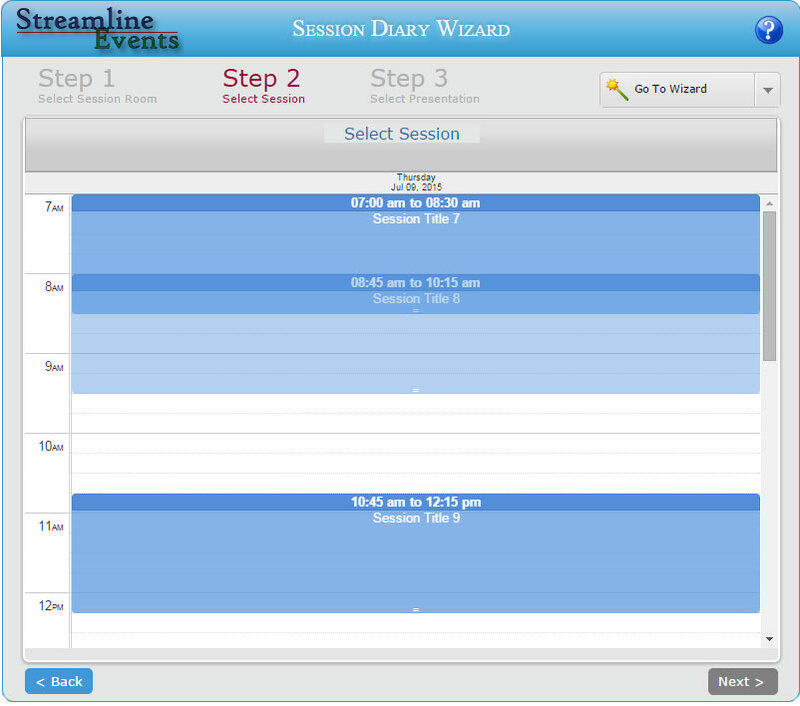 Room agendas, sessions and presentation slides are automatically created. Programme and abstract overviews can be generated from templates. Apply chairs and co-chairs to sessions, and speakers, moderators and panellists to presentations.